sorry blog, i missed u! my computer finally conked out so i was without one for a few weeks! eeek! 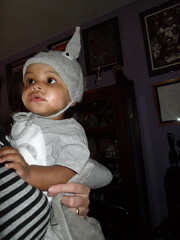 but now i am back and my tiny totoro is 7 1/2 months old wowowowow!